Our new Best Buddies Chapter held their first event last week in collaboration with Spread the Word to End the Word, a national campaign to encourage people to pledge to stop using the word "retard" as it is hurtful and dehumanizing to individuals with special needs. During lunch periods, our faculty, staff, and students signed their names to pledge their support. Best Buddies is a nonprofit organization dedicated to establishing a global volunteer movement that creates opportunities for one-to-one friendships, integrated employment, leadership development, and inclusive living for individuals with intellectual and developmental disabilities (IDD). 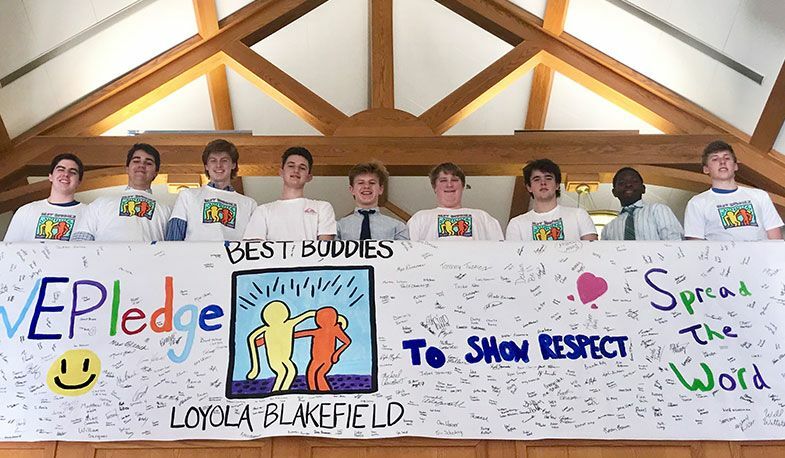 We are proud to announce that we are the first private school in the area with a Best Buddies Chapter, and we hope to partner with other schools through this initiative going forward.